Forklift Operating & Safety Training Class 8/8/15 – Sign Up Today! Looking for a Forklift operator training class? Want to learn more about forklift safety? 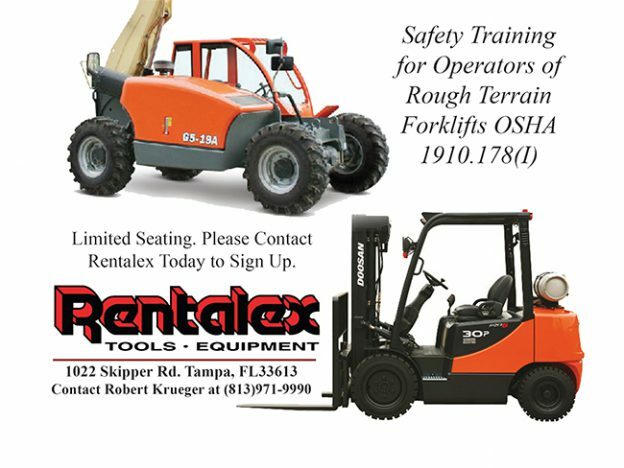 Rentalex Tools & Equipment in Tampa, Florida is pleased to offer a Forklift Training Class. 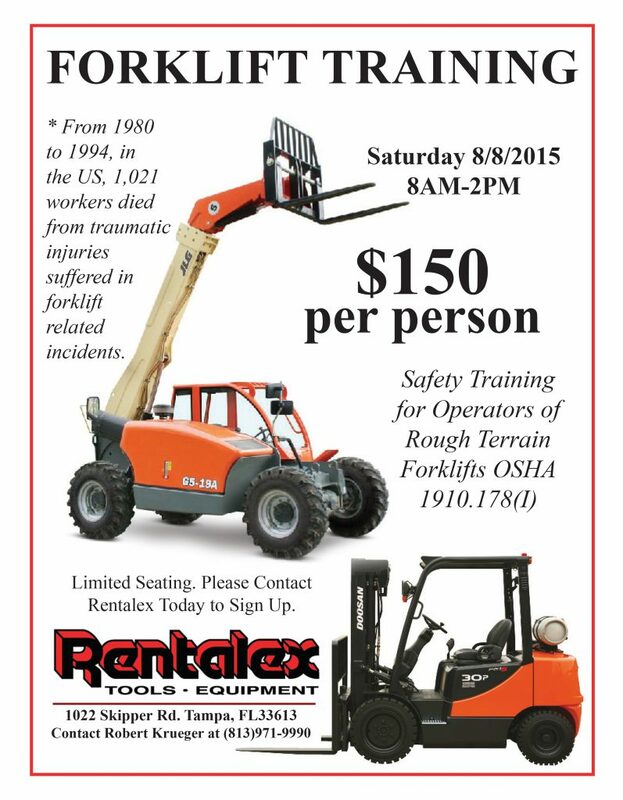 Safety training for operators of rough terrain forklifts OSHA 1910.178(I). From 8am to 2pm $150 Per Person. Contact Robert Krueger @ (813)971-9990 to Sign Up!